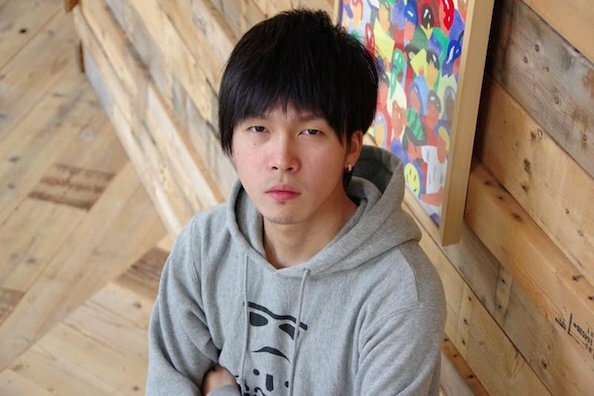 Gachikun, now in his 20s, has been known as a Street Fighter IV top player since he was a high school student, and moved up to Tokyo in this March. As a Rashid player in Street Fighter V, he's aiming to achieve a further leap. After the big decision to leave his family town, with what feeling is he staring at the forerunners; Daigo, Bonchan, Tokido and Nemo? By knowing it, we would like to discover their figures and hidden aspects. From translator: I separate the original article into four articles. – Ume-san sort of plays mah-jongg app on his cell throughout a tournament. Red Bull: What kind of existence was Daigo Umehara for you, a younger generation? Gachikun: I started fighting games with SFIV. I didn't know websites providing videos of games, or about famous players. But we can see the ranking in game arcades. And there was the name of Umehara at an upper position, so I recognized him as a strong player. Red Bull: Even you had not known his face or seen his play? Gachikun: I had seen him play in an actual match on the DVD attached to the gaming magazine called Arcadia. That was the first time I found out Ume-san, Mago-san and Nemo-san were great players. Red Bull: When did you meet Daigo for the first time? Gachikun: That was when I was still a high schooler and went to Tokyo to visit my relative. I saw him for the first time at a game arcade in the complex called Big Box in Takadanobaba. He was playing against Bon-san on versus-style cabinets, with a lot of 50-yen coins in an ash tray. I didn't have game arcades which allowed us to play one time for ¥50 in Hiroshima(†), so I was watching it while thinking it was unusual. † All in all, ¥100-for-one-time game arcades prevailed and prevail in Japan. One of the tendencies is that arcades mainly for non-game-enthusiasts tend to require ¥100 for a play while arcades where many competitive players gather require ¥50. Red Bull: Did you have any coversation at that time? Gachikun: I think we didn't. After that, when I went to Tokyo again, Mago-san introduced him to me and I had conversations with him for the first time. Red Bull: Had you been acquainted with Mago before then? Gachikun: Yes. We both played as Sagat in SFIV, so we'd already had communication. And when I went to the game arcade in Big Box to play with Mago-san, Mago-san told me "this is Umehara" and I said "oh, nice to meet you." Red Bull: So you just simply said hello at that time. Gachikun: Maybe as players from countryside tend to think, I recognized Ume-san as so great that I assumed I should not talk to him frankly. I think I began talking to him after the late period of USFIV. Red Bull: I see it was pretty hard for you to talk to him because of the generation gap. Gachikun: I had no idea what I should talk about with him. I'm shy with people hehe. Red Bull: What was it like when you saw Daigo at Red Bull 5G 2016? Gachikun: I talked with him, his teammate Bon-san, and my teammate Pugera(††) at the eve of Red Bull 5G 2016. †† Ex Pugera. The strong Ibuki player in SFIV. He won the 9th place in USFIV at Evo 2014. Red Bull: You beat Daigo in Red Bull 5G. Gachikun: Tokido-san kindly helped me build a strategy against Ryu, whom Ume-san played as, and I dedicated a whole month to it. Of course he was strong, but I was able to go into the match with confidence because I thought he didn't have elaborate strategy against Rashid, whom I played as. I think that's why I was able to win. Red Bull: You mean you were able to execute what you had prepared. Gachikun: I thgought I had much chance to win if I was not worked up. Red Bull: What was your impression of Daigo after fighting him? Gachikun: I had the image that he didn't show his feelings. He shows no pleasure with winnings and no regret for losses, so I was always wondering what kind of spirits he plays with. Red Bull: What about his playing style? Gachikun: The image that he executes the cutting edge. In actual matches, he makes movements that no one can make other than him. It's fun to see. And he doesn't have any flaws. Red Bull: Could you please tell me specifically what the cutting-edge is? Gachikun: Although he's not the exception... I used to be always surprised at new strategies and combos I saw for the first time when I went up to Tokyo for tournaments, as I lived in countryside, Hiroshima. Red Bull: You mean you had never seen them in Hiroshima. Gachikun: I can't help but feel gulfs between the levels of Tokyo and countryside. I brought it back to Hiroshima, but the next time I went up to Tokyo again, I would see applications of what I'd seen the last time or completely new ones. Red Bull: They had different cultures of fighting games even though they both are in Japan? Gachikun: Well, yes. In terms of fighting games, Tokyo is out of the other regions' league. Red Bull: Do you have an offline community in Hiroshima? Gachikun: I had about 40 fellow players in USFIV days. But as long as I know, only about two of them made a transition from USFIV to SFV. We don't have SFV in game arcades, so in such countryside where game arcade cultures are strongly rooted, many of the players continues playing USFIV. Red Bull: USFIV has not declined in popularity yet. Gachikun: Few of them are willing to play SFV even when I invite them to play it, as it's not for game arcades. I don't mean I just want to criticize, but I'm uncomfortable inviting to it because of the unimproved online system. Red Bull: I see. There should be similar situations in the other countryside regions... And do you have any other impression of Daigo? Gachikun: His conversations are always funny. I feel he likes talking and has a lot of topics to talk about as watching Daigo the BeasTV. Red Bull: Which episode or conversation especially was interesting or made an impression on you? Gachikun: It's the episode in which He streamed drinking with Fuudo-san at home. He was voluble maybe because of alcohol. I remember feeling he was unwaveringly keeping his identity although he seemed to be nonchalant. Red Bull: You know, he has a mind of his own. So, what about your impression of his private life? Gachikun: I'm surprized that he rarely gets sick even though he seems to be busy streaming almost every week, and going out to tournaments and events. And I have a strong impression that he almost always has ramen after every tournament lol. Red Bull: What do you think his secret is not to get sick? Gachikun: Probably because... he eats a lot, drinks alot, speaks a lot and sleeps a lot lol. Red Bull: You mean he's good at burning off stress? Gachikun: It's often said he has a mind of his own, and I think it helps him keep in shape. Red Bull: Could you please tell me stories of him at tournaments that represent him having a mind of his own, if any? Gachikun: He sort of plays mah-jongg app on his cell throughout a tournament. At one tournament, I thought he was watching a video of his next opponent and peeked at the display, but I found out it was mah-jongg app lol.